Although there has been much empirical study within what has been referred to as "functional approaches to child language," there has yet to be a major attempt to compare and contrast such proposals. In addition, much of the work carried out within child language from a functionalist perspective has not been specific with regard to the nature of the approach adopted. In attempting to fill the gap, the author of this book begins with a comparison of various functionalist approaches. By concentrating on one domain -- agentivity and control -- Budwig develops a set of research questions based on an examination of findings stemming from linguistics, psycholinguistics, and developmental psychology, and also provides an in-depth discussion of related methodological issues. In the second part of the book, she traces the development of linguistic means to refer to oneself within a developmental-functionalist perspective. Individual case studies as well as group analyses of six children in the early phases of acquiring English grammar are provided. 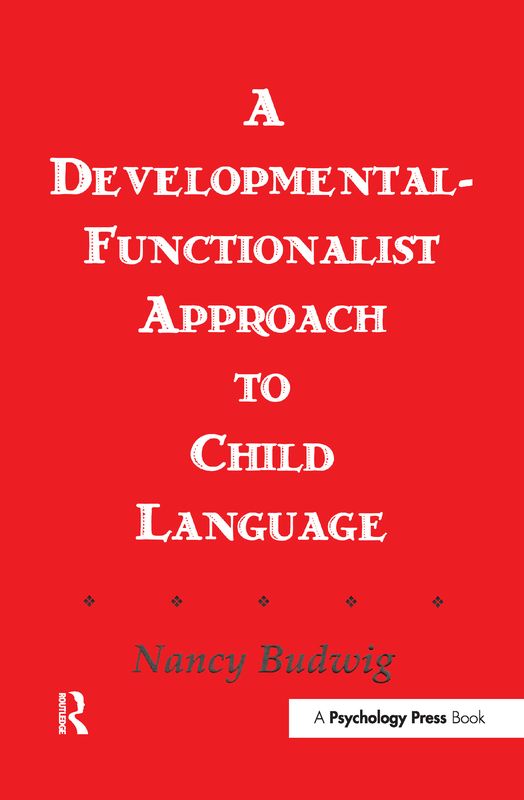 In the last part, Budwig examines the relationship between forms and functions in development with special attention to potential generalizations about the organization and reorganization of the children's linguistic systems.